Head injuries – and traumatic brain injuries in particular – account for 30 percent of all injury deaths in the U.S., according to the U.S. Centers for Disease Control and Prevention. Every day, more than 150 people die from TBIs. Although such injuries can happen to anyone, those in physically laborious professions tend to have higher rates. It seems like every year, the Washington Capitals and the Pittsburgh Penguins find themselves locked in a fierce battle to get to the eastern conference finals of the National Hockey League. This rivalry includes two of the greatest hockey players to ever play the game – Alex Ovechkin for the Washington Capitals and Sidney Crosby for the Penguins. Many consider Ovechkin to be the greatest offensive player in the game and Crosby is considered by many to be the best all-around hockey player. Despite all of his success, including winning the Stanley Cup, Crosby has had a long history of concussions and has also had a history of taking a long time to recover from them. He has missed a significant amount of playing time due to concussion symptoms. There is serious concern that he may have quality of life issues for the rest of his life following his eventual retirement from the NHL.These fears resurfaced when he took a big hit from Matt Niskanen, a defense man on the Capitols. While Niskanen was given a major game misconduct penalty and ejected from the game, he was not suspended from any further games, because the league did not find intent. This was very controversial. Crosby missed one game during the series, and it was widely reported that he suffered a concussion and was being evaluated under the standard protocol as discussed in a recent article from the Bleacher Report. His coach, however, said Crosby was not evaluated for a concussion, but there is no telling what actually happened given how injuries are reported and not reported in professional sports. One thing we do know is that concussions are serious matters and should be treated seriously. Gone are the days of simply breaking open a smelling salt ampule and putting the player back in the game. This is not only true in sports, but also in other aspects of life regarding a head injury. If you suffer a head injury, you should make sure to seek medical attention. It may be necessary to have a scan to make sure there is no evidence of a concussion or other type of traumatic brain injury. 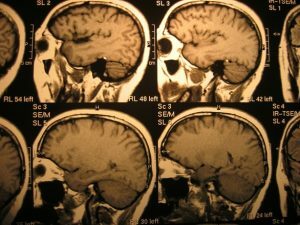 Another thing to keep in mind, as our Boston personal injury lawyers can discuss, is that it is possible to have a concussion with a closed head injury. This means that you do not have to have an open wound to suffer a concussion. The reason for this is because a concussion occurs when the brain, which is essentially suspended, slams into the skull with enough impact to cause a bruise. The bruise can swell, as bruises often do, thus creating a tremendous amount of pressure between the brain and the dura, which is an inner layer of the skull. This pressure, if not treated, can result in permanent brain damage. This can have life-long effects, and you should discuss this with your experienced brain injury attorney when talking about what you need to do increase your chances of obtaining and full and appropriate recovery.